Unique content is important for SEO. While there is no such thing as "duplicate content penalty", page with unique and relevant content is likely to be displayed higher in search engine results. More than that, search engines report warnings for pages with non-unique title or other information (for example, in Google Search Console). 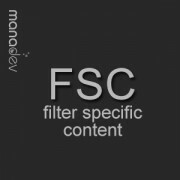 Filter Specific Content for Magento 2 extension provides unique and relevant content based on currently applied layered navigation filters. 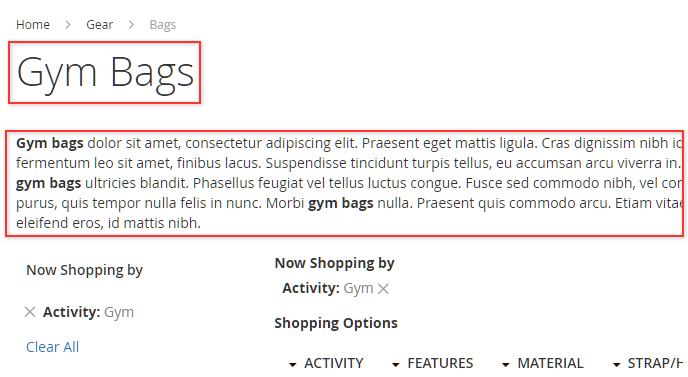 If having "gym bags" page higher in results of search engines is really important, then content of this page should be way more unique and relevant to user searching for gym bags.